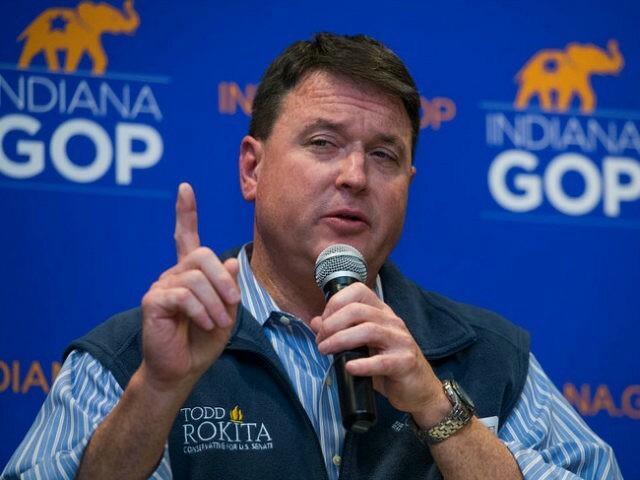 “We’re going to drive 400 miles [just today] to campaign to make sure that we have a true Trump supporter in the U.S. Senate from the state of Indiana,” Rokita told Breitbart News Saturday host Matthew Boyle. Rokita faces off against Rep. Luke Messer (R-IN) and businessman Mike Braun in the Indiana Senate Republican primary on May 8. The winner of the primary will compete against Sen. Joe Donnelly (D-IN), who is considered one of the most vulnerable Senate Democrats up for re-election. Rep. Rokita first discussed reports that Messer has had a history of drunk driving. Messer replaced State Rep. Roland Stine in 2003, who was killed by a drunk driver. Rokita called the report “troubling” and said Rep. Messer needs to take responsibility for his past actions. Messer has defended against Rokita’s claims, arguing that he has never served as a member of any Gang of Eight to push for an amnesty bill. Rokita then called out Mike Braun, the third Indiana Senate primary candidate for voting to raise taxes on Hoosiers while exempting his own business from the state sales tax. “And let’s not leave Mike Braun out of it. Mike Braun, who says he an outsider was actually in office for 14 years and gave his county common core.When he got elected to the legislature, he raised taxes, the largest in state history, 45 times — at the same time, lowering taxes on his own business. He’s one of the largest timber operators in the state of Indiana, largest makers of hardwood — exempted himself from sales tax,” Rokita added. 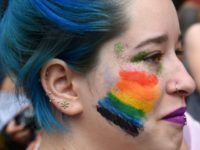 Breitbart News Saturday host Amanda House then asked Rep. Rokita about H.R. 997, the English Language Unity Act of 2017, which would make English the national language of America. Rokita serves as a cosponsor of H.R. 997. Breitbart News Saturday’s Boyle then asked Rokita how we get President Trump’s signature campaign promise passed, a border wall on the U.S. southern border, given the logjam in Congress.